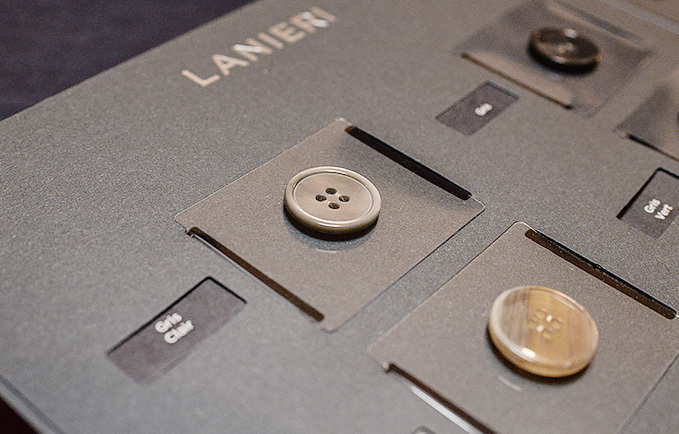 Lanieri, a workshop producing made-to-measure garments for men in the best traditions of Italian tailors. 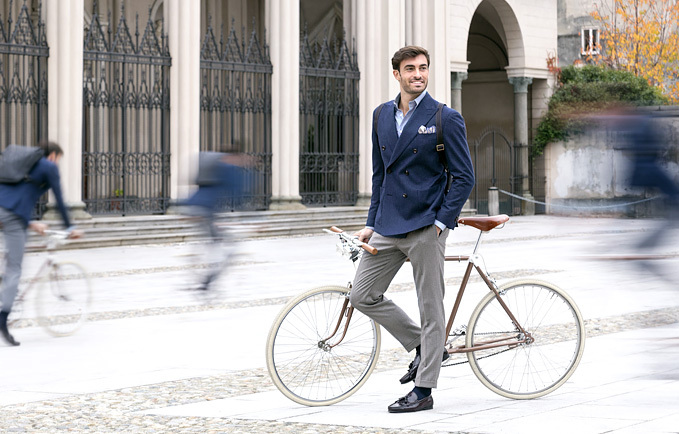 Ever since 2012, the Italian brand, Lanieri, dedicated to masculine elegance, has been offering made-to-measure suits that can be ordered in just a few minutes. 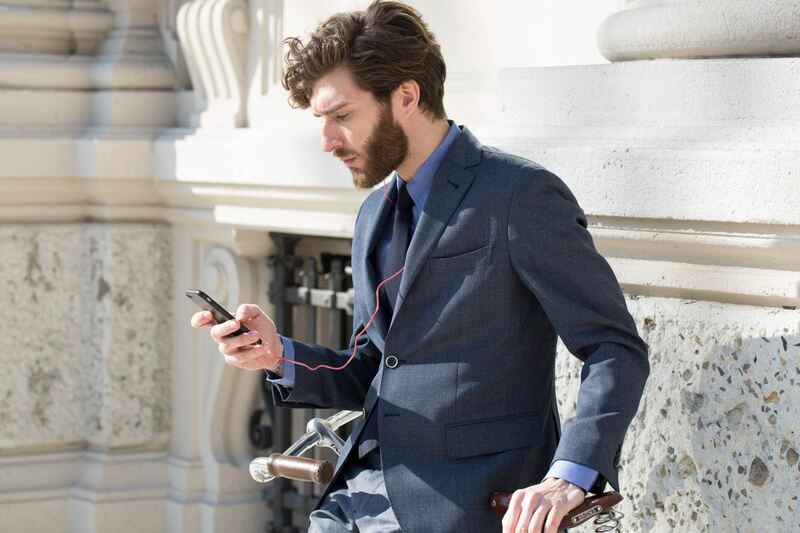 There’s a wide range of men's garments and accessories available. 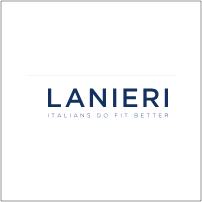 Whether for work, a wedding or a special occasion, Lanieri has a wide selection to choose from, all of which are manufactured in Italy. The brand also offers thermoregulated fabrics. 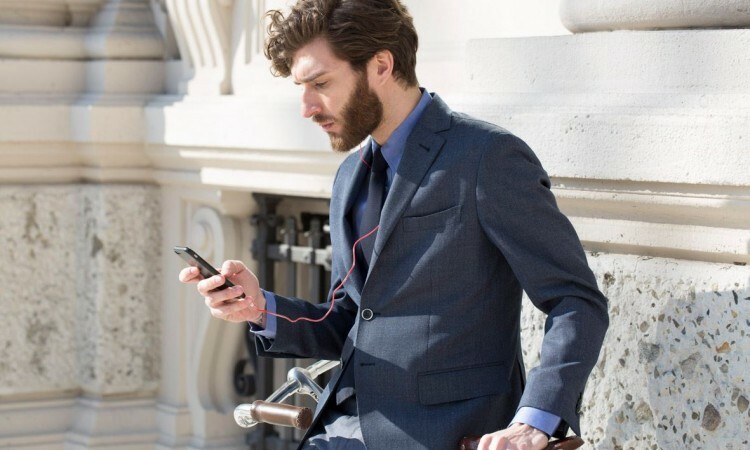 That means you can wear your suit throughout the year whatever the season. Every detail is considered to ensure the finished product is exactly what you’re looking for! Globally renowned, Lanieri currently has eight workshops in several European cities, including one in Brussels. 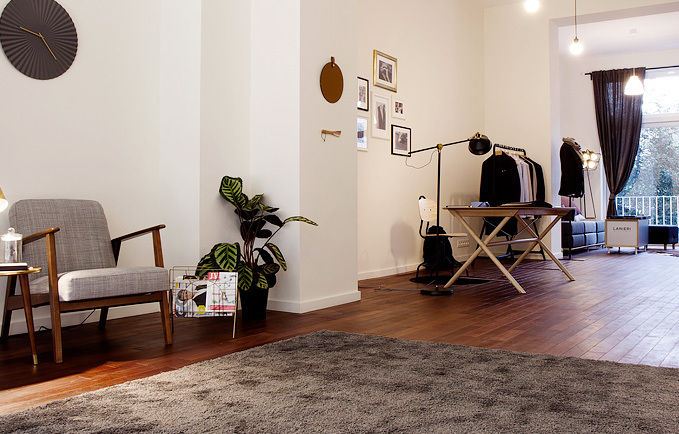 Located near the prestigious Avenue Louise, Atelier Lanieri greets its customers in its bright and airy showroom. 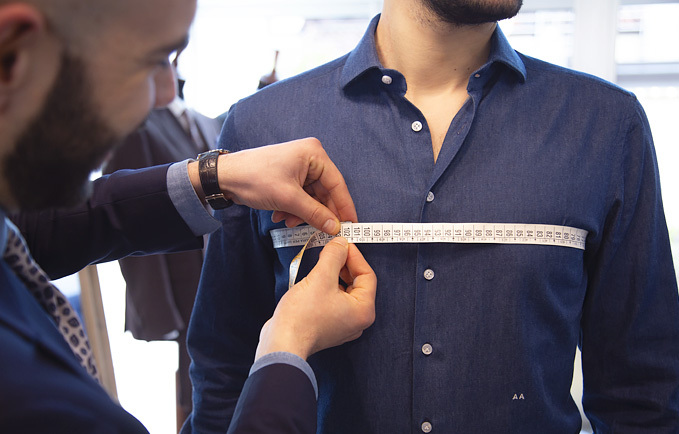 An appointment generally takes betwen 45 and 60 minutes and customers benefit from a free of charge assisted sizing service. In addition, Michele, the Atelier's style consultant is available to offer you personalized advice. You can also consult the brochure which includes a range of contemporary, classic and customized fabric designs. 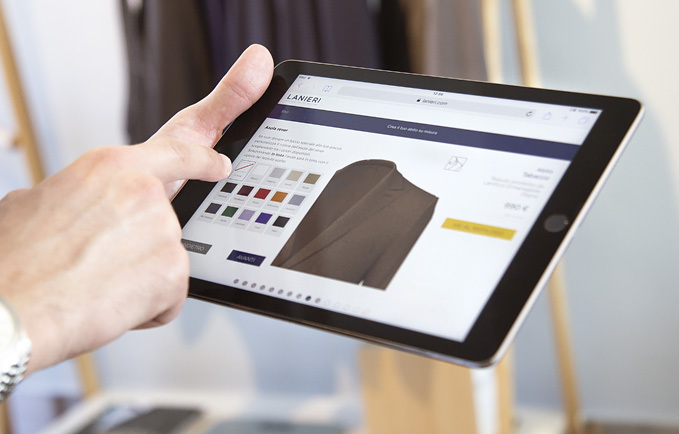 With more than 10 million possible combinations, Lanieri offers you the opportunity to order an original made-to-measure garment. 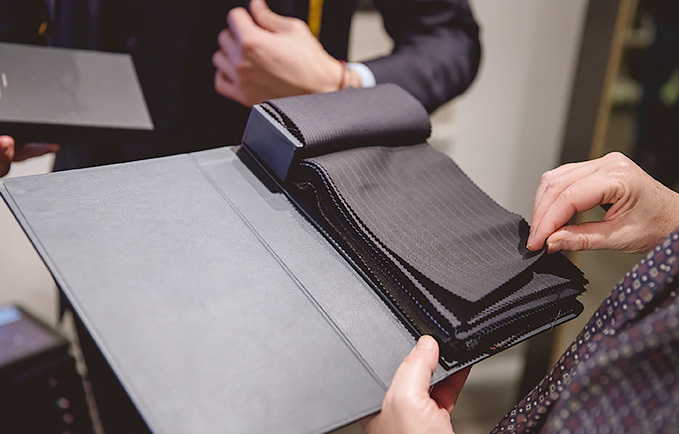 After selecting from a range of more than 100 beautiful Italian designed fabrics, our customers can personalize their garments depending on the style they are looking for. Pricing for the garment includes all finishing touches and delivery costs as well as any additional items such as lining or horn buttons. After making the payment, the item is delivered directly to your home.